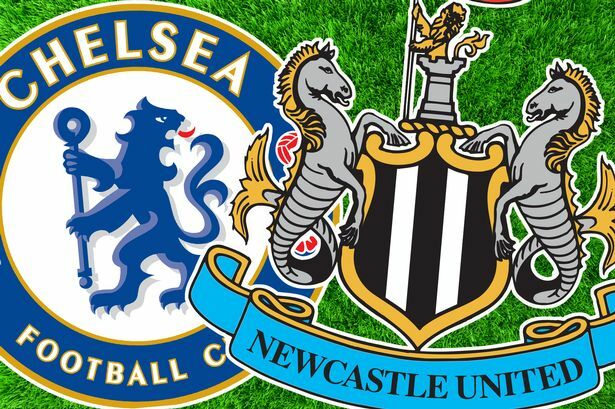 Newcastle United will travel to Stamford Bridge this weekend to face league co-leaders Chelsea. The Magpies handed the Blues their first defeat of the season back on December 6th but much has changed at Tyneside since then. Alan Pardew has officially left for Crystal Palace leaving John Carver in charge on a interim basis. The Magpies lost 1-0 to Leicester City last weekend. And just like that they are out of the FA Cup. This follows a 3-3 draw to Burnley in league action back on New Year’s Day. Carver will be looking for the club’s first win in the post-Pardew era on Saturday. Just a few shorts weeks ago it looked as if Chelsea would be handed the league title. However, since their defeat to Newcastle, the Blues have been held by Southampton. And they were defeated 5-3 by Tottenham Hotspurs in their New Year’s Day encounter. But they are still level on points with Manchester City at the top of the table. There is finally some good news for Newcastle United on the injury front. First, Davide Santon returned to action against Leicester last Saturday, filling in for Daryl Janmaat at right-back. There was also some great news during the week about Tim Krul. The first-choice goalkeeper has recovered from his ankle injury and could potentially return against Chelsea. However, this was somewhat tainted by the news that Steven Taylor ruptured his achilles tendon against Burnley and will be lost for the rest of the season. Papiss Cisse will miss the match because of a suspension for elbowing Seamus Coleman last month. He will soon head off to the African Cup of Nations and will be lost to his club until February. Mehdi Abeid (broken toe), Rob Eliott (thigh muscle), Rolando Aarons (Hamstring), Siem de Jong (thigh), Ryan Taylor (knee), Jonas Gutierrez (cancer) and Gabriel Obertan (thigh) are all expected to miss the match as well. In sharp contrast, Chelsea are a very healthy side. Goalkeeper Thibaut Courtois sat out the club’s FA Cup win against Watford last weekend because of a minor injury to his finger but he is expected to start on Saturday. There are no other known injuries at this point. Newcastle is not expected to have a new manager in time for Saturday’s match in London. John Carver should be at the helm for at least one more match. After this match, the club will have a week to prepare for Southampton at home next Saturday. Both Carver and Chelsea boss Jose Mourinho rested several key players last week in their FA Cup matches. Newcastle will no doubt be encouraged by the potential return of Santon and especially Tim Krul. Santon could return to his regular left-back position against Chelsea. Carver is expected to use the 4-2-3-1 formation that was such a staple for the club under Alan Pardew. Mourinho might just have a few decisions to make. The unflattering loss to Spurs might have placed some doubt in the Portuguese manager’s mind. Chelsea has gone with the same starting XI and the same 4-2-3-1 formation for much of the season. However, their performance against Spurs might just tempt Mourinho to shake things up, particularly at the back. The notoriously meticulous manager is not used to conceding so many goals against. Diego Costa is tied for the league lead in goals with 14. Eden Hazard has also found the net eight times this season, ranking second on the club. Cesc Fàbregas has been Chelsea’s primary creator this season, playing in a deep role. He is the run-away league leader in assists with 14 so far this season. Chelsea have not gone more than two matches without a win all season. You will have to go back to September 2013 when that last happened. It was the early days of Mourinho’s second stint at Stamford Bridge. The club have not lost at home in any competition in 16 matches. Despite all the injuries and distractions off the field, the Newcastle is still in a comfortable tenth position in the table. A win could see them jump Swansea City and Liverpool for eighth. And the Magpies do have an impressive record against Chelsea in recent encounters, having won four of the last seven against the London club. They last beat Chelsea at Stamford Bridge in May 2012. However, under Jose Mourinho, Chelsea has been almost unbeatable at home. The only league defeat came at the hands of Newcastle’s arch rivals Sunderland in April 2014. But since then, Chelsea have won nine times in ten league matches. A scoreless draw to Norwich City is the only match they have dropped points. Although, it is no longer impossible to defeat Chelsea at home, it is still very difficult for any club. Newcastle should encounter a determined Chelsea side following a pair of poor results in the league. But the Magpies always seem to play well against Chelsea. And they should be encouraged by the return of Santon and possibly Krul. The match ends in a draw. carpark or train station is.